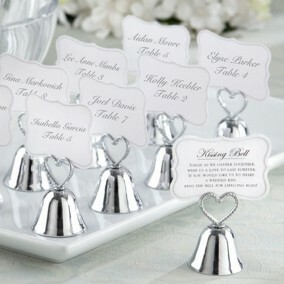 Silver Heart Shaped Place Card Holders - perfect wedding place card holder! 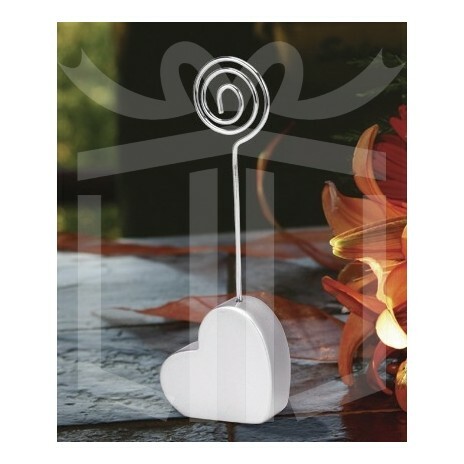 It's easy to set the romantic mood and organize your table placements with these adorable silver heart shaped place card holders. 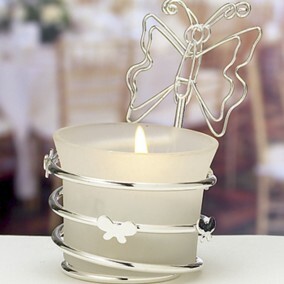 But they also make practical wedding favors or bridal shower party favors because your guests can take them home and use them to hold photos, notes, recipes and more. Each approximately 12 cm tall. 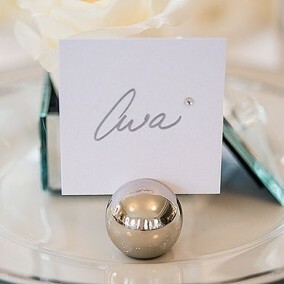 They're place card holders with a dual purpose twist, so consider these favorites for wedding favors / bridal shower party favors that make the memories last and last. 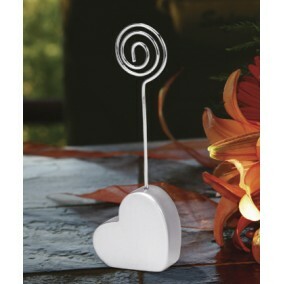 Made from poly resin, hand painted in silver. Silver glitter added for a dazzling effect. Blank placecard included.